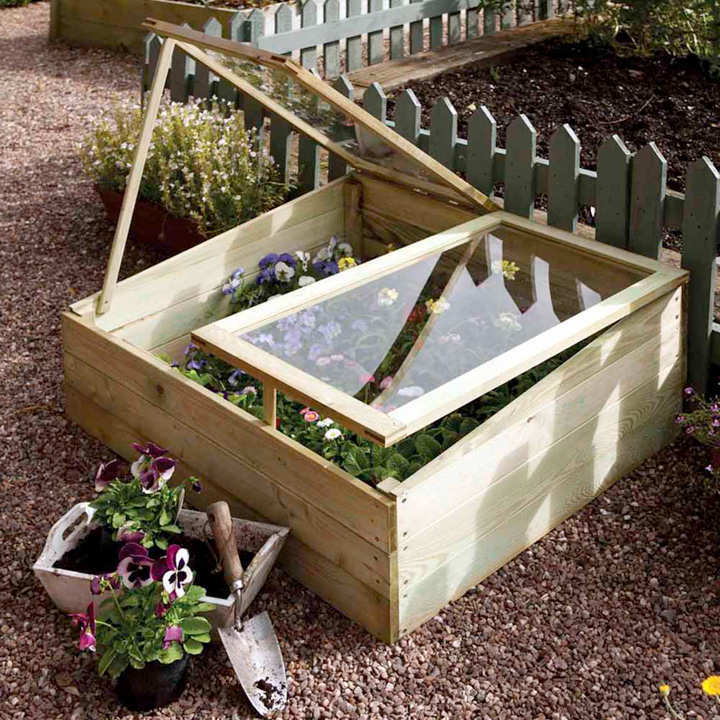 This compact timber cold frame provides a good growing environment in which to bring on your young plants before moving them out into the garden. The 19mm thick timber frame is pressure treated against rot. 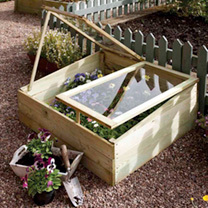 Fitted with plastic safety glass, it has two independently opening lids, providing good ventilation and easy access. The stays on each lid can be placed in one of two positions. Maximum overall size 102cm (3'4") wide x 81cm (2'7") deep x 38cm (15") high. PLEASE NOTE: A postage surcharge per item ordered is applicable. UK MAINLAND ONLY.